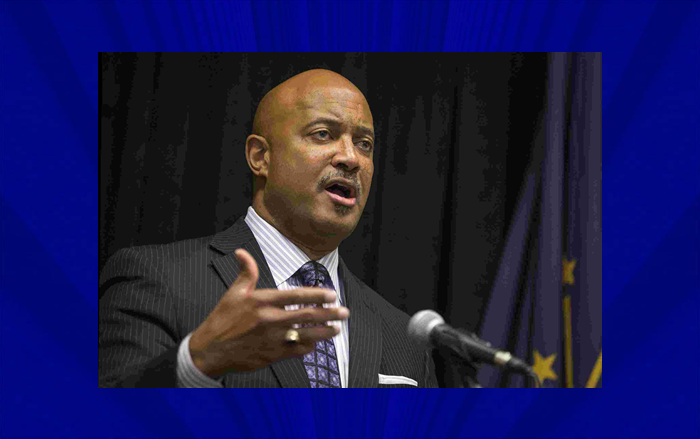 INDIANAPOLIS -- Attorney general Curtis Hill won’t face criminal charges over what Indiana's inspector general says was "unacceptable behavior” with several women at a downtown Indianapolis bar. Special prosecutor Dan Sigler says he believes the accounts of four women who say Hill touched them inappropriately in an after-midnight gathering of legislators and staff after the adjournment of the legislative session March 15. All four women say Hill rubbed or touched their backs, and two say he slid his hand down their backs and grabbed their rear ends. But Sigler says it'd be difficult to prove the case beyond a reasonable doubt. He says several months passed before anyone was questioned, and there's a fuzzy timeline about what happened when. Sigler says the freely flowing alcohol at the party would make it difficult to persuade a jury, and notes Hill denies the sexual intent required for a conviction. And Sigler says the only charge which could be filed is a misdemeanor battery count. He says it'd be difficult to justify a complicated, time-consuming and potentially futile prosecution for such a low-level charge. Inspector General Lori Torres, whose investigation formed the basis for Sigler's decision, released her report simultaneously with Sigler's announcement. Torres says Hill acknowledged in a videotaped statement he'd had two or three glasses of wine in the hours before going to the party at A-J's Bar around midnight, and said he nursed a martini and a fireball at the bar. Sigler and Torres both describe Hill's drinking that night as "significant." Sigler declines to speculate on whether Hill was drunk, but Torres says 20 of the 39 witnesses investigators interviewed believed he was. Four said he wasn't -- the rest were unsure or declined to speculate. Torres' report reveals for the first time that in addition to Hill's four accusers -- three legislative staffers from both parties, and Representative Mara Candelaria-Reardon (D-East Chicago) -- three female lobbyists at the party reported feeling "uncomfortable" when Hill draped his arm around them. In an accompanying statement, Torres calls Hill's conduct unacceptable, but says she respects Sigler's reasoning for not filing charges. Her report says multiple witnesses described Hill's behavior as "inappropriate, 'creepy' and unwelcome," but says the public will have the final say. Torres' report does absolve Hill of accusations he violated state law against personal use of government resources by delivering an angry denial of the charges fromhis statehouse office, and sending out two news releases questioning the women's accounts on the attorney general letterhead. Torres says any use of state resources was incidental. Hill's office referred questions to his criminal attorneys. Senate President Pro Tem David Long (R-Fort Wayne), who's leaving office next month, renewed his call for Hill to resign, but says it appears he won't do so. Three House Democrats have said they intend to introduce an impeachment resolution when legislators reconvene next month. Candelaria-Reardon also says Hill should resign, but declined to comment on a possible impeachment, and says she'll probably have to recuse herself from voting if an impeachment charge reaches the House floor. Candelaria-Reardon and the three staffers say they plan to sue Hill for sexual harassment, slander and creating a hostile work environment.